Berkshire Hathaway (BRK) has released its 2017 Letter to Shareholders. Instead of reading various media coverage about one aspect, I recommend reading the entire thing straight from the source. It’s only 17 pages long and (as always) written in a straightforward and approachable fashion. Even if you aren’t interested in BRK stock at all, reading the letter can be educational for individual investors of any experience level. Here are my personal notes with quoted exceprts. Never use borrowed money to invest (leverage). Our aversion to leverage has dampened our returns over the years. But Charlie and I sleep well. Both of us believe it is insane to risk what you have and need in order to obtain what you don’t need. We held this view 50 years ago when we each ran an investment partnership, funded by a few friends and relatives who trusted us. We also hold it today after a million or so “partners” have joined us at Berkshire. There is simply no telling how far stocks can fall in a short period. Even if your borrowings are small and your positions aren’t immediately threatened by the plunging market, your mind may well become rattled by scary headlines and breathless commentary. And an unsettled mind will not make good decisions. Lack of acquisitions. Berkshire hates paying too much for a company. They are also quite patient. Right now, there are many other competing buyers willing to pay high prices, so that is why their cash hoard keeps growing. The less the prudence with which others conduct their affairs, the greater the prudence with which we must conduct our own. Cash (Treasury Bills) is king. During the 2008-2009 crisis, we liked having Treasury Bills – loads of Treasury Bills – that protected us from having to rely on funding sources such as bank lines or commercial paper. We have intentionally constructed Berkshire in a manner that will allow it to comfortably withstand economic discontinuities, including such extremes as extended market closures. At yearend Berkshire held $116.0 billion in cash and U.S. Treasury Bills (whose average maturity was 88 days), up from $86.4 billion at yearend 2016. This extraordinary liquidity earns only a pittance and is far beyond the level Charlie and I wish Berkshire to have. Our smiles will broaden when we have redeployed Berkshire’s excess funds into more productive assets. The light can at any time go from green to red without pausing at yellow. Wells Fargo and Bank of America stock. If you’re looking for individual stock ideas, many people copycat the holdings of Berkshire Hathaway. Charlie and I view the marketable common stocks that Berkshire owns as interests in businesses, not as ticker symbols to be bought or sold based on their “chart” patterns, the “target” prices of analysts or the opinions of media pundits. Hedge fund bet. As expected, the S&P 500 index fund won against a group of actively-managed hedge funds, but there were some interesting details in the final results. Something to discuss further in a separate post. Investing is an activity in which consumption today is foregone in an attempt to allow greater consumption at a later date. “Risk” is the possibility that this objective won’t be attained. I want to quickly acknowledge that in any upcoming day, week or even year, stocks will be riskier – far riskier – than short-term U.S. bonds. As an investor’s investment horizon lengthens, however, a diversified portfolio of U.S. equities becomes progressively less risky than bonds, assuming that the stocks are purchased at a sensible multiple of earnings relative to then-prevailing interest rates. 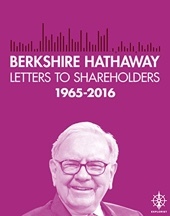 1977-2017 are free on the Berkshire Hathaway website (PDF). 1965-2016 are $2.99 at Amazon (Kindle). Three bucks seems pretty reasonable for a permanent copy with the ability to make searchable highlights using Kindle software. 2016 Annual Letter touched on the rarity of skilled-stock pickers and some insight on his own stock-picking practices. 2015 Annual Letter discussed his optimism in America and his “Big 4” stock holdings. 2014 Annual Letter discussed the power of owning shares of productive businesses (and not just bonds). 2013 Annual Letter included Buffett’s Simple Investment Advice to Wife After His Death. 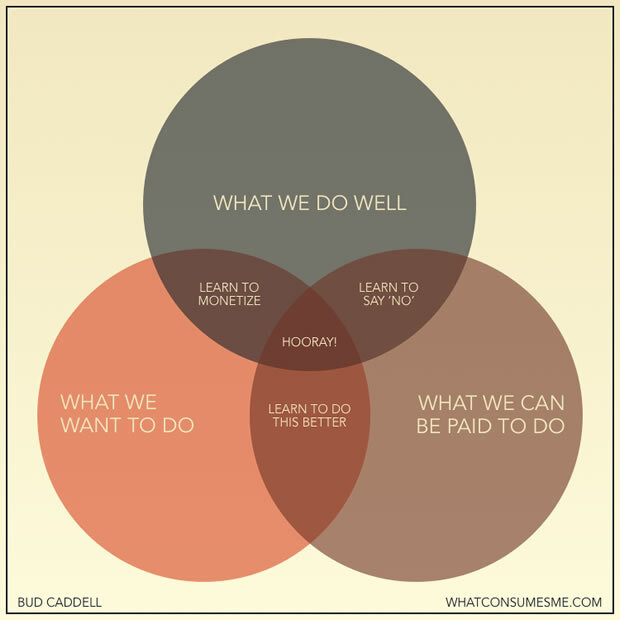 Ikigai is what allows you to look forward to the future even if you’re miserable right now. In essence, the question “What does the world need from you?” is collapsed into “What can you get paid for?” above. If you’re looking for the ideal job, then I suppose that is a good shortcut. However, not everyone’s reason for waking up every morning involves money. The BBC article cites a 2010 survey of 2,000 Japanese men and women where just 31% of participants cited work as their ikigai. That means for 69% of Japanese people, their ikigai is something else. Family, friends, community, a hobby, a volunteer position.